Fans are unlikely to hurl cans of Miller Lite while hollering "Sacrilege!" at this Ferrari F430, set to race in the British GT Championship. 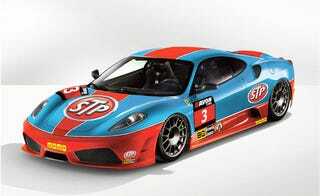 That's right, this Ferrari borrows its STP-themed paint from Richard Petty's old NASCAR racer.